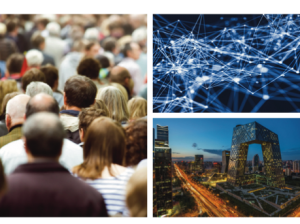 Understanding complex, interconnected systems is at the core of IDSS’s ability to uncover new insights and solutions to society’s most pressing challenges in energy, finance, health care, social networks, and urban systems. Our academic units and research teams listed below are producing novel solutions to complex societal problems and philanthropic support is essential to build up the infrastructure for high-level cross-disciplinary research. Support the next generation of research in data, systems, and society. To explore other ways to support IDSS, such as endowed gifts, naming opportunities, or planned giving, please contact: John Ryan, Senior Leadership Giving Officer and Manager of Industry Programs, johnryan@mit.edu.